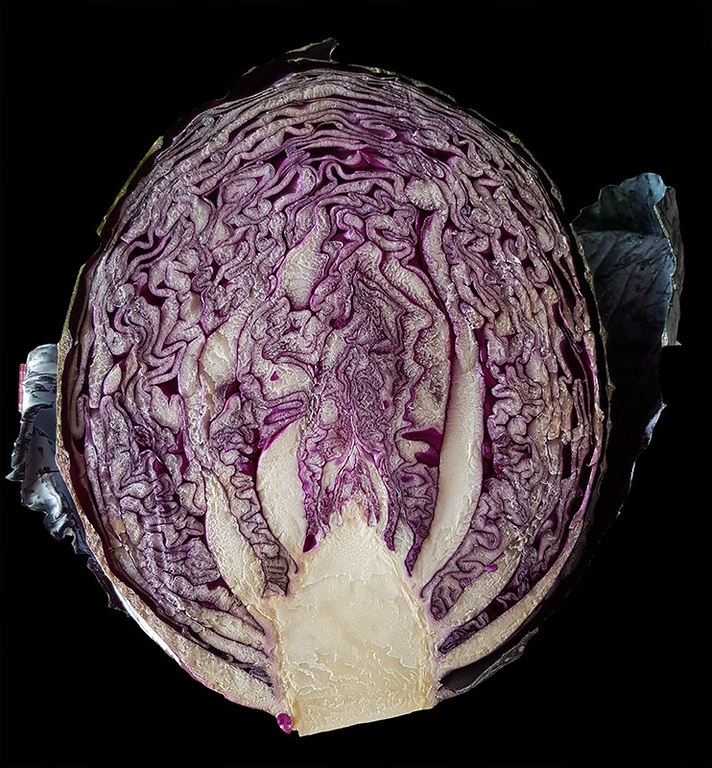 By the weirdness of serendipity I made almost the exact same shot a couple of weeks ago when I tried to make some pickled red cabbage. (The recipe was a flop and I eventually discarded the product). Your image is heaps better than mine and I am inspired to try again. Have an idea to cut a thin slice and put it on the scanner. Thank you Matt, that's very kind of you. What drew my attention to this image, after I took the picture, was the shape, the circumvolutions, and the stem all of which reminded me of a human skull cut open to show the brain and the top of the spinal cord.